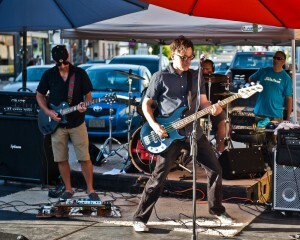 Storm The Palace is a Toronto-area based party band playing your favourite New Wave, Rock and Pop hits of the 1980’s. Adam Weatherup (Guitar), Christian McFadden (Bass, Vocals, Programming), and Tim Fleming (Drums) bring to life beloved songs from the 80’s overlooked by most of the retrospective bands out there today. “We are filling a void, playing songs that have been largely ignored by bands that I’ve seen at local festivals, parties, or bars” says Christian. “I don’t think they know how to approach these songs, or else they don’t think that there is an audience that wants to hear them. Our experience playing them for our rapidly expanding audience over the last year strongly suggests they are wrong”. …the groups that have transcended their genre to become the most enduring acts of their time are all well represented in a Storm The Palace set list. “Pretty much anyone who was into music during the Reagan/Thatcher/Mulroney era or who has subsequently developed a penchant for 80’s music will recognize most of our set” continues McFadden. 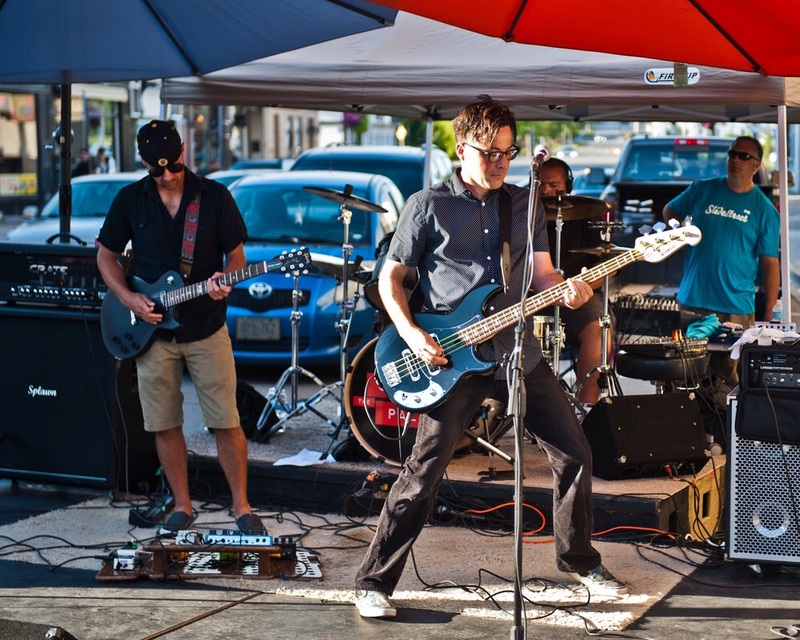 “People have been pleasantly surprised at our shows because we are doing fun, upbeat songs that they love that they have NEVER heard a cover band perform for them before. And we are approaching them with an attention to detail that I can definitely say is unique to Storm The Palace”. But don’t let all this talk of synths scare you. 2016 saw the band closing out the 37th Annual Dora Awards at Harbourfront Centre, play a massive corporate performance at The Airport Sheridan, and private parties encircling the GTA…2017 had the band playing Steam Whistle Brewery to NHL Alumni, performing at The RBC Cup Hockey Finals, and do a special “For One Night Only” ALL-90’s Halloween show that quickly sold out, and many more private and Corporate parties all around Ontario. 2019 is looking set to further the objective of expansion. Storm The Palace want to take you on a trip back. Dance all night, dance if you want to, dance in the dark, dance into the fire… Whichever was YOUR dance back in the day, be prepared to dance it once again.